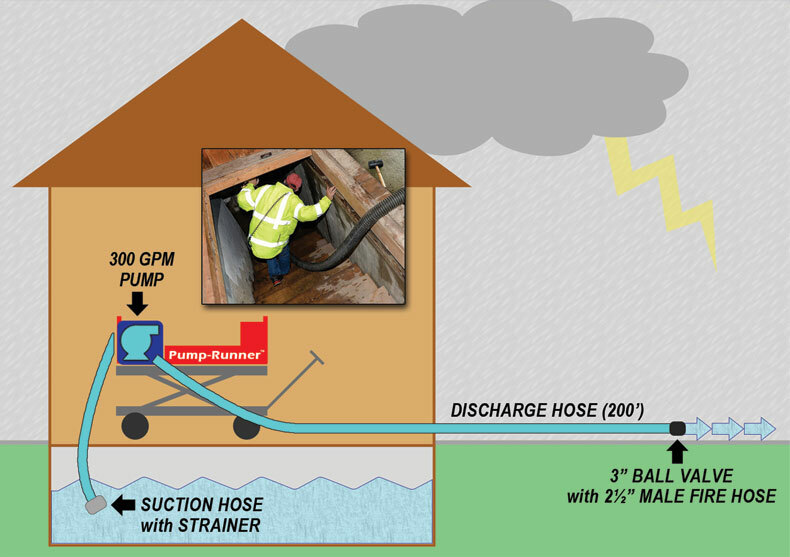 Narrow enough to go through doorways, it can be rolled indoors for pumping out flooded basements and underground utility vaults. 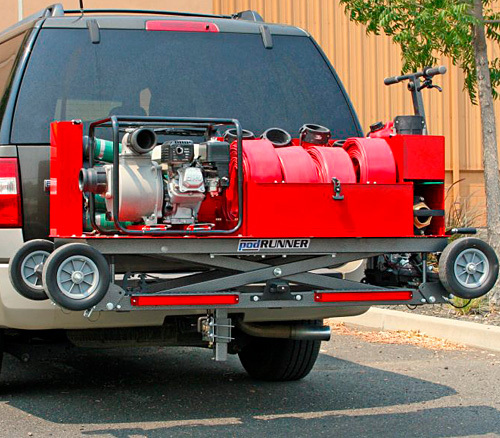 A quick and portable water source in wildland urban interface communities or neighborhoods. A great investment for Fire Departments or Home Owner's Associations. 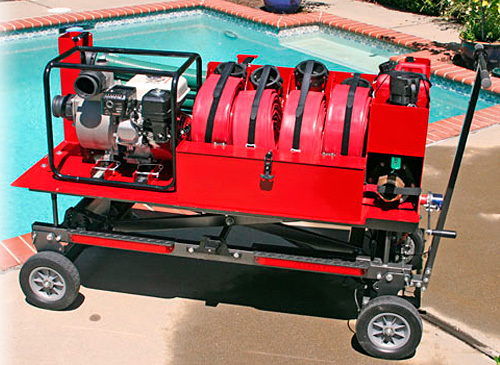 The Pump-Runner™ can be delivered, set up and left running at a water source, freeing valuable apparatus to fight fire rather than dedicated to pumping operations. Perfect for utility companies to de-water low lying areas and underground vaults prior to restoring community services. No specialty tooling, the entire system uses quick connect camlocks for fast set up and break down. 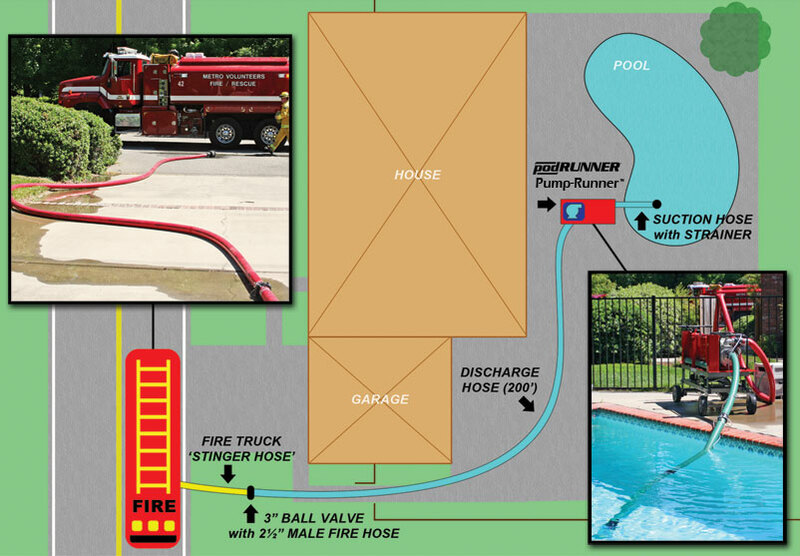 The Pump-Runner™ can be positioned next to a backyard swimming pool (pond, creek, or canal) with discharge lines out to the street to quickly fill passing Engines or Water Tenders/Tankers.